This year’s Easter luxury chocolates are colorful, adorable and of course, absolutely delicious. One of my personal favorite French chocolate brand, La Maison du Chocolat has the traditional Easter chocolates like a chocolate rabbit (this one is the Dulcey, seen above the post’s title) filled with foiled covered chocolate praline eggs (both milk and dark chocolate). For something much more playful and whimsical, there are Easter Fish chocolate bars that comes in four varieties. 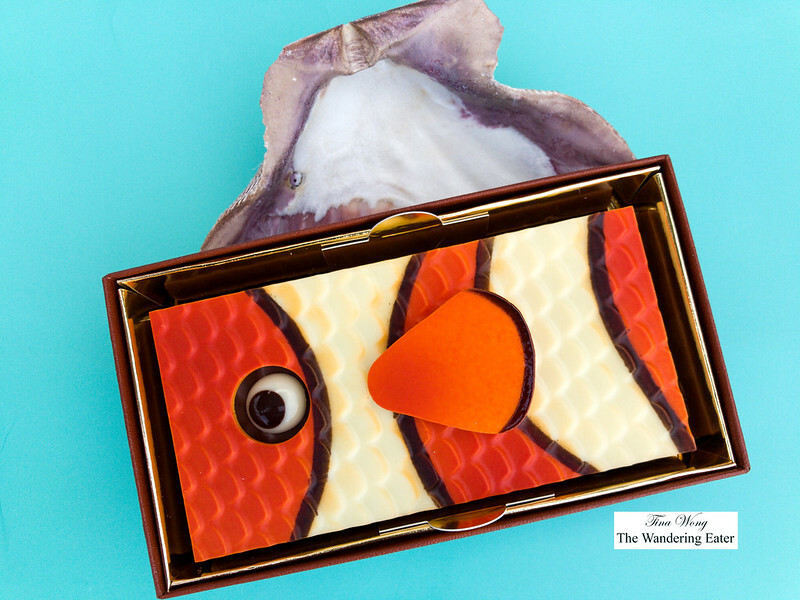 The one shown here is the Clown Fish made of a luscious ivory chocolate, layered with milk praliné with almonds. The fish is available for boutique pick-up only since these are delicate chocolate bars. 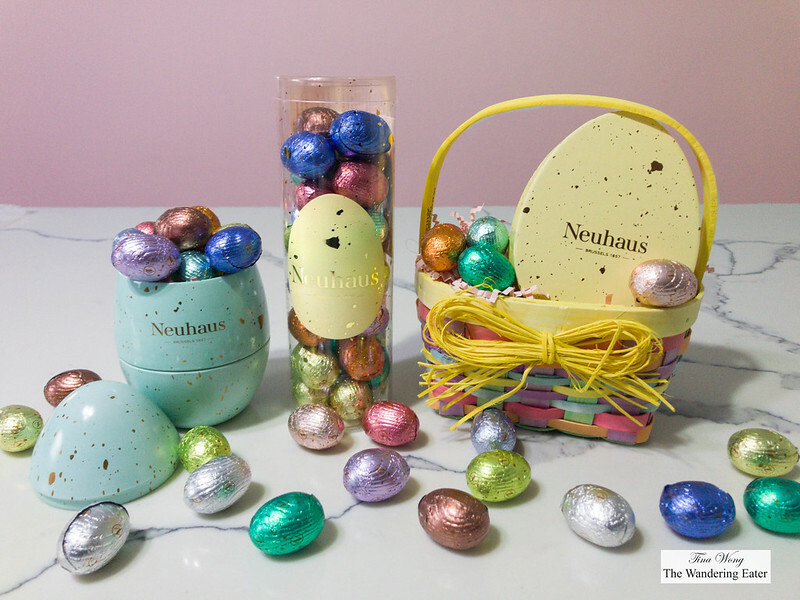 The Belgian chocolate brand Neuhaus has created a lovely collection of Easter chocolate eggs, inspired by the speckled eggs of spring. The chocolate eggs are inspired by the most scrumptious Belgian chocolate flavors, including the brand new white crispy praliné, as well as annual favorites such as milk cookies and dark praline.